The Little Mermaid Jr set sail during the summer of 2017. 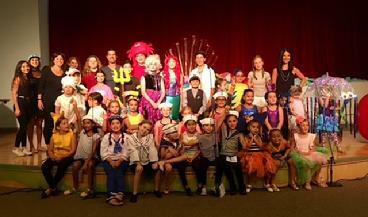 Our cast of fish, sea creatures and mermaids sang and danced their way through the summer. The rehearsals were in the evening and the show took the stage in mid-August. It was a lot of fun and a great summer activity. Kids of all ages participated and they created a memorable show, made lots of friends and entertained audiences of all ages!